If you live in a rainy city like us, here in Vancouver, B.C., you’re probably seizing every sunny day before the weather reverts back to our regular rainy day programming. Here at Hardgoods.ca, what do we love doing most on sunny days? Bike rides around town and spending time with our friends at the beach until sunset. Of course, best enjoyed when you have all the picnic essentials ready! Here are a few of our favourite items for your next sunny day picnic. What is the number 1 thing you bring to any picnic or sunny day outdoor lounge? A reliable and comfortable picnic blanket, of course. We’re not talking about those super thin uncomfortable ones – you know, those blankets where you feel every tiny pebble and tree debris underneath you. We’re talking about double layer blankets, the ones with soft polar fleece reinforced with another layer of foam padding at the bottom. 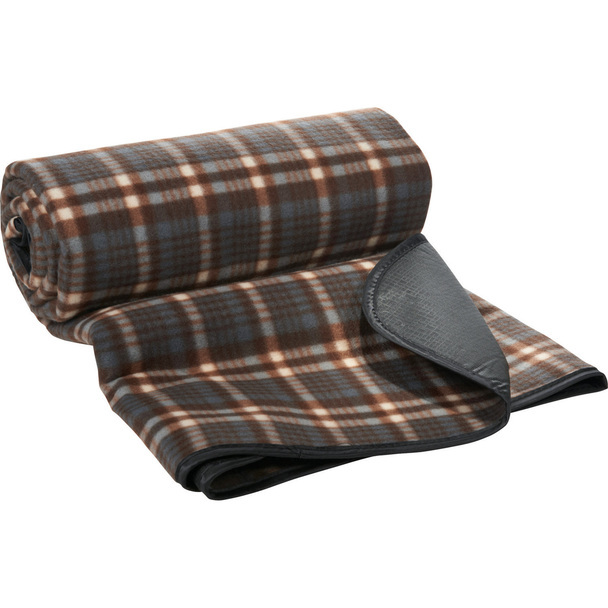 The Field & Co. Picnic Blanket is the perfect choice!The La-Z Boy of blankets, some might even say. Looking for some awesome date ideas? Why not a wine and cheese picnic? Simply elegant is the best description for this Chardonnay Wine Basket. This basket has wine service for two and is constructed of willow with premium leatherette accents and cotton lining in the traditional red and white gingham. Included are 2 hand-blown wine glasses (7oz), stainless steel waiter-style corkscrew with wooden handle, and 2 napkins. It’s also ideal for any gift-giving occasion! So, the next one is pretty cool. This is the perfect food and drink combo, perfect for entertaining small groups without having to lug around a huge barbeque set or having to splurge too much! This portable grill features a 9” cooking surface that fits nearly in an insulated cooler. It’s got an adjustable shoulder strap which makes transporting this grill and cooler perfect for picnics or the tailgate. If you’re going ahead with the aforementioned portable grill set, you’ll probably be needing this BBQ 5 in 1 utensil tool. By now, you’ve probably noticed that functionality and practicality is a common theme among the products featured in this post. This 5 in 1 tool is definitely no exception to that! This tool has a spatula, fork, basting brush, bottle opener, and cork screw. What more can you ask for? There you have it folks! These were our picks for your next barbeque this summer. Choose your favourites, get them and enjoy the sunny days!